In January of this year I performed another relativity clock experiment; a repeat of Project GREAT (General Relativity Einstein Anniversary Test). The original was named Project GREAT 2005 and I'm naming this Project GREAT 2016a to celebrate the 100th anniversary of Einstein's General Theory of Relativity. One of the bold and strange predictions of relativity is that time is not fixed but instead it slows down where gravity is stronger. The usual example given is a black hole. If the theory is true, it also means clocks should run a tiny bit faster on top of a mountain (where gravity is slightly weaker) compared to clocks nearer sea level (where gravity is slightly stronger). This effect is called time dilation. The purpose of these student-friendly DIY clock experiments is to verify the prediction is true; to discover first-hand if time dilation is real. Can time really speed up or slow down; does gravity really warp space and time? Compared to a black hole, the effect is extremely small here on Earth and almost immeasurable – which is why we don't notice it on a human scale. But with extremely precise clocks and electronic instruments that can measure down to a billionth of a second, it is possible to test the theory. For additional photos and technical details see: GREAT 2016a - photos. 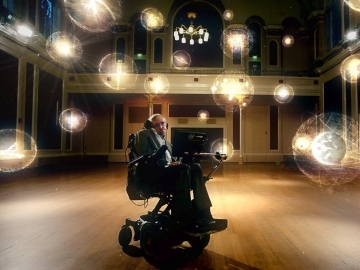 What's different about this 2016 edition of the experiment is that it was filmed in conjunction with a new TV series called GENIUS by Stephen Hawking. I have not seen the show yet, but from what I understand, parts of my experiment are shown in Episode 1: Can We Time Travel where the three volunteers (the "actors" in the show) see if they can detect time dilation. Last year I was contacted by the UK producers of the Stephen Hawking Genius series to help create a visual demonstration of general relativity and time dilation using atomic clocks at high elevation. I offered to repeat Project GREAT for their show. My experiment wasn't the focus nor was it filmed in its entirety, but they incorporated parts of it into their scenes. We did the experiment in Tucson, Arizona because their film schedule required a January date. Up here near Seattle, all the roads on Mt Rainier are closed for the winter. But Tucson is dry enough and far enough south that the road to the summit of Mt Lemmon is open in winter. In fact there are popular hiking and skiing facilities on the mountain so road access is good. 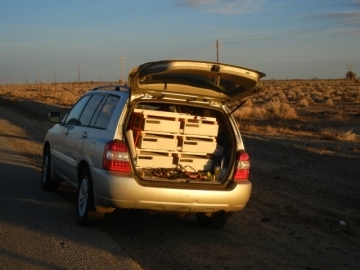 Moreover, there is a University of Arizona astronomy facility at the summit which provided not only picturesque scenes their TV show, but also accommodations for the crew, not to mention a safe place to stow the clocks. Conceptually, the experiment is very simple. We take one accurate clock the top of the mountain and we take another accurate clock to a hotel at the base of the mountain and let them sit there for a day. Then we bring the clocks together again and compare. If time dilation is false then the clocks should still agree. If time dilation is real then we would expect the clock that was at the hotel to be a little behind the clock that was at the summit. The only math you need to know – if a clock is h meters high, it will run faster by gh/c², where g is the acceleration of gravity, 9.8 m/s², and c is the speed of light, 299,792,458 m/s. Clocks that run fast gain time and clocks that run slow lose time. Now, this effect is really small. If a clock is raised 1 meter it will run faster by a factor of only 1.1×10-16. That is, it will gain 0.000,000,000,000,000,1 second per second. It turns out no clock is this precise and it's not possible to measure that small amount of time anyway. So the trick is to raise the clock much higher than 1 meter and to measure much longer than 1 second. 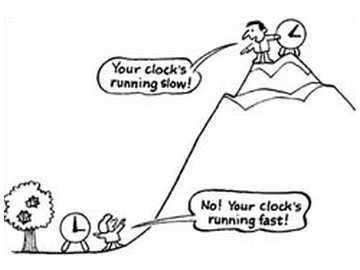 If a clock is at 1 km elevation it will run fast by 1.1×10-13. Over a span of 24 hours this accumulates to about 10 nanoseconds (billionths of a second). Still small, but easily measured using modern electronic instruments. The main challenge is the clocks. Any conventional clock will gain or lose far more than this over a day and so you would be measuring the error in the clock, not the "error" in space-time. So only the best clocks can be used, and they also have to be portable. For this experiment I used Hewlett-Packard (aka Agilent, Keysight, Symmetricom, Microsemi) model 5071A cesium atomic clocks. Note that cesium (Cs) atomic clocks are not radioactive; instead they use ultra-precise electromagnetic properties of naturally occurring, safe and stable Cs133 atoms. You may be thinking instead of Cs137 – which is entirely different – the dangerous and unstable radioactive isotope, often created by nuclear accidents. At a minimum two clocks are needed, but having multiple clocks and redundant power greatly reduces chances of failure. All six were synchronized and carried in my car for a couple of days. 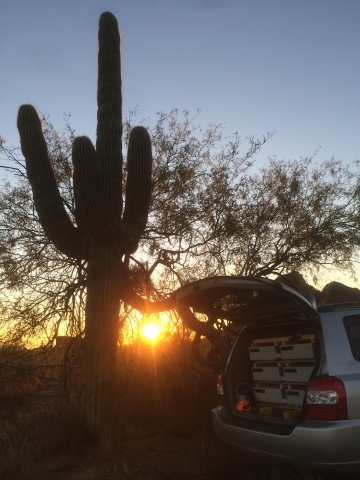 Then we left 3 of them at the top of the mountain, storing them in the astronomer's dormitory, and kept the other 3 in the car as we drove back down to a hotel in Tucson. We waited a day, and then drove back up and compared the clocks. The elevation of the clocks at the hotel was 775 m (about 2540 feet) and the elevation of clocks at the summit was 2780 m (about 9120 feet). So the difference in elevation was 2.00 km (about 6580 feet). The length of time the clocks were separated was about 23 hours. The formula gh/c² predicts a time dilation of about 18 ns (nanoseconds). Now, these clocks are not without error. Even atomic clocks are not perfect. But they are extremely well-designed, and they were all tested prior to the experiment, and found to have a timing error of approximately ± 2 ns per day. Since we are comparing imperfect clock(s) at the base with imperfect clock(s) at the summit the experiment has some inherent error. The key is to design the experiment so that the effect being measured (gravitational time dilation) is at least ten times greater than the inherent fluctuations in the clocks themselves. In general, the higher you go, the longer you stay, the better the clocks, the more clocks you use, then the more certain the results will be. In this experiment the (preliminary) measured value of 21 ns is within expectations and close to the predicted value of 18 ns. So Hawking is genius, Einstein is happy, time dilation is real, PBS got quality footage, and a good time was had by all.